To help you with some new ideas for holiday gifts for college students, here’s a list of some of our favorites. These are perfect for both kids already in school and those who will be freshmen next fall. We receive a small amount of compensation from purchases through some of the links in this list. We have fallen in love with Kendra Scott designs and her beautiful pieces have become our go-to jewelry gifts for our daughters, nieces, and friends. The designs are elegant yet trendy and can be worn with dressy or causal outfits. This bracelet, with a choice of five different stones, would be a beautiful gift for the holidays. This is THE classic book for college students that covers any situation they may find themselves in during their four years of school. 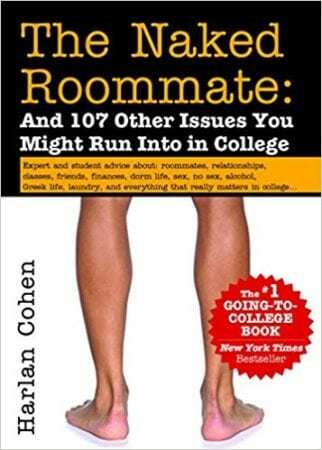 Excellent for both college guys and girls, we trust author Harlan Cohen to guide your student in the right direction. Now in it’s 7th edition, this is an excellent gift for both seniors and those already in college. 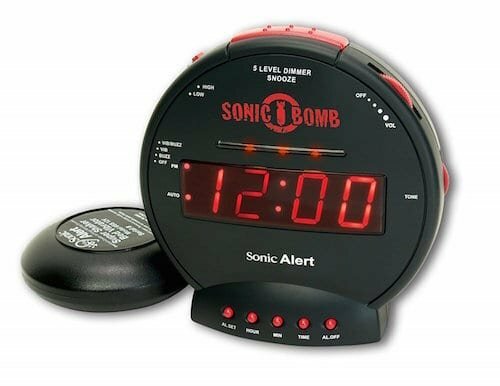 Buy this alarm clock for any sound sleeper who is used to waking up to the loud and persistent parent-alarm clock at home. With flashing lights, an adjustable alarm tone and under-the-mattress attachment that shakes the bed, your son or daughter will never sleep through a class. Saying goodbye to your college-bound daughter doesn’t get more fun than this. Do Your Laundry covers 270 conversation-starting topics – from laundry to posture to finances, with just enough motherly sass to keep her turning the pages all the way to the end with room to include your own special message. This is our very favorite book for girls- it’s a true classic! Cell phones are an indispensable, and expensive, piece of equipment and your student needs a relabel case to keep it from shattering if they drop it (which they will.) While you can find many more expensive models, the Silk phone case has a texture that makes it grippy, not slippy, is lightweight, has protective corners (“airbags for phones”) and is very well-priced. Plus, it gets top marks by the NYTimes Wirecutter. There is a reason why our kids love this brand and it starts with the amazing insulation properties keeping water cold for 24 hours and hot liquids warm for six! With a powder-coated exterior, Hydro Flasks do not become slippery like other bottles when they become damp from condensation. They are available in nine colors and two sizes. Grabbing a cup of coffee right in your dorm or apartment is one of life’s small luxuries. 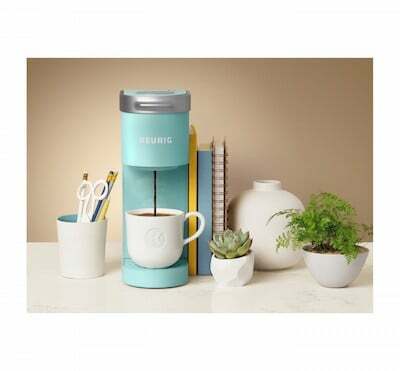 This small and stylish coffee maker by Keurig will fit on a desk or the tiny counter space in your student’s first apartment. They never have to waste money on overpriced coffee again! Hands-free driving is the only safe (and legal in many states) option for those behind the wheel. But if your college kid is using their smart phone for driving directions, this can be a challenge unless the phone is adjusted to an optimal height. This mounting system includes a suction sup that affixes to the dash or windshield and has a telescopic arm which extends up to five inches for the space each driver finds most useful. Roommates often have very different sleep/study schedules. When your kid is up late studying and trying to be considerate to the perfect stranger who is now his roommate, having a desk lamp with a dimmer switch is very useful. We have fallen in love with these adorable crossbody bags and we are not the only ones – Oprah named them one of her 2018 Holiday Favorites this year. They come in loads of different colors and designs with just enough room to hold a phone, ID and credit cards. Everyone needs a tool kit and gifting one is also like gifting a bit of adulthood to a college student who will eventually be faced with some micro repair or the need to assemble a basic piece of furniture. This set, in black or pink, comes with a Hammer, LED Flashlight, Long-nose Pliers, 3 Foot Tape Measure, Screwdriver, and more. 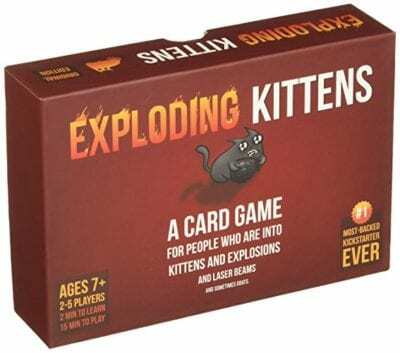 We cannot explain to you exactly WHY this game is among the most popular ones with our college kids but, take our word for it, if you are looking for something for game night, put this on your list. If your son or daughter has plans to travel and could use a new bag, consider this hard-sided roller bag. Measuring 20″, it is durable, meets international carryon restrictions, and is expandable when a longer trip means more to pack. It comes in several colors and has four double spinner wheels making it very easy to pull through an airport. We rarely see our kids without their phones and, when they are walking across campus or working out, being able to use wireless technology and Alexa to enable their music or make a call is increasingly popular. These are the wireless earbuds that get high marks and that your kids will love to discover as a present from you this holiday.